In addition to interior design software that can be used to design entire homes or individual rooms, you can also get bathroom design tools that are typically software options with bathroom design features. This page is part of our popular home design software section but emphasizes bathroom design tools. Click here to try our free bathroom design tool (software). 2D and 3D design. Any room of the house. Easy to use. Nothing to download. Go have fun designing a bathroom with our software here. Don’t let the name fool you. They do have a very good bathroom-specific visualizer option. This online tool lets you design your future bathroom for free. Unfortunately, you can only choose from three bathroom designs. You can add your own image if you have taken a picture of your bathroom. To use the app, you will need to click on the area that you want to modify. Some spots are protected, which means you cannot edit everything. A few of the areas that you can change are the bathtub, cabinets, and wall. You can select the color you want for each of the mentioned items. For walls, you can select the product type, such as tile, along with the colors. When editing, you can enter the name of the product that you wish to use and the brand as well. Once you are done, you can click on Details in the right side of the screen to get the summary of your design. When the image pops up, you can right click to save it. As an alternative, you can click on Save, which is also found in the right corner of the screen. All images are in JPG format and you can share your design on Facebook, Pinterest, and Twitter. This too is free and entirely online (nothing to download). Design any room of the home including bathrooms. Decent options and easy to use. FYI, if on mobile devices, it’s best to get the app. Design your bathroom with this free online app by choosing from the available images or upload your own photo. When you have the image that you want to work with, the next step is to modify the elements in the room. Formica has several items that you can edit, including the backsplash, countertop, floor, and bathtub. If you want to know how your shower will look like or if the walls complement the cabinets, you can use this tool to find out. There are redo and undo buttons at the bottom of the screen, as well as zoom in and out functionality. When you have completed the design process, you can save your work. However, you should have an account to accomplish it. You can check your existing designs in the Projects tab or you can print the image if you wish. 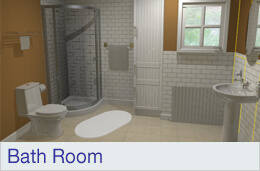 The website offers an online tool that lets you simulate the design process for your bathroom. You can also try the kitchen and industrial space visualizers. However, if you are planning on a big bathroom remodel, the app will help you with the task. Editing is easy where you simply select the areas in the bathroom that you would like to design. Spaces that you can transform are the shower base, bathtub, vanity top, and shelves among others. After selecting the area, you can choose the color for that particular spot. There are several colors and designs to choose from. However, the site does not allow users to upload their own photo. Also, there is no image collection so you can only modify one bathroom picture. Nevertheless, it is free and does not require creating an account. You can get the summary right away or download a high-quality JPG. Home Hardware offers two interior design tools. 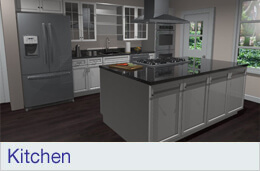 One is for kitchen design software. The other is color selection. Neither are bathroom specific, but can the color selection platform can be used for bathrooms. Touted as full home design software, this option can be used as a bathroom design tool if that’s all you’re designing. Below we offer a series of screenshot to see how to use this option. I think you’ll be impressed with the last screenshot that reveals a 3D design. It’s quite good. FYI, lots of furniture options to incorporate in your rooms including bathroom. Also entirely online and free, RoomToDo is a fairly simple design tool. It can render bathrooms in 3D which is great. Like all others, it takes a bit of time to play around with but it’s an option you should check out if you’re set on free. To design the bathroom using this app, choose from double sink, modern, and shaker style options. A customizable surface will have a red button. Elements that you can typically edit are the walls, tubs, and sink. The tool lets you work not only for the bathroom in your home but also for retail stores, office, and schools. The free-to-use app can be useful for you if you work for healthcare or the hospitality industry. Be sure to pick the right style so you do not have to redo the whole design process. Clicking on a surface that you can modify will bring up the list of the options, which usually involve the existing patterns and colors. When you are through designing the bathroom, you can either see where you can purchase the products you used in the tool or you can get the summary. You can save the image if you are logged in or you can print it. Sharing is also allowed on Facebook, Twitter, and email. Click here to try Wislonart bathroom software. Room Sketcher is cool because you have the option to get them to do some drawings for you if you find it difficult to do your own designs. As you can see from our screenshots below, you can design any room including detailed bathroom designs. Not my favorite, but I include this design tool because I like to err on the side of being overly inclusive. As you can see from our screenshot examples, it’s fairly dated in its user interface. My biggest beef is you need to download it, which I don’t like. I much prefer software that’s online (i.e. on the cloud). If you need a bathroom color tool, check out Olympic’s paint color visualizer (you can also check out our free color visualizer tool here). Below we set out a series of screenshots showing how this can be used to help with bathroom color selection. With Lowe’s design tool, you can specifically design a bathroom. Check out image below. The level of detail is quite good. My favorite feature though is the pre-designed bathrooms so you don’t have to start from scratch (but you can if you want). Here are some images to see what you can expect with this software. There comes a time when every bathroom needs a little spruce. So it would be great if we could have a way to visualize it as close to reality as possible. 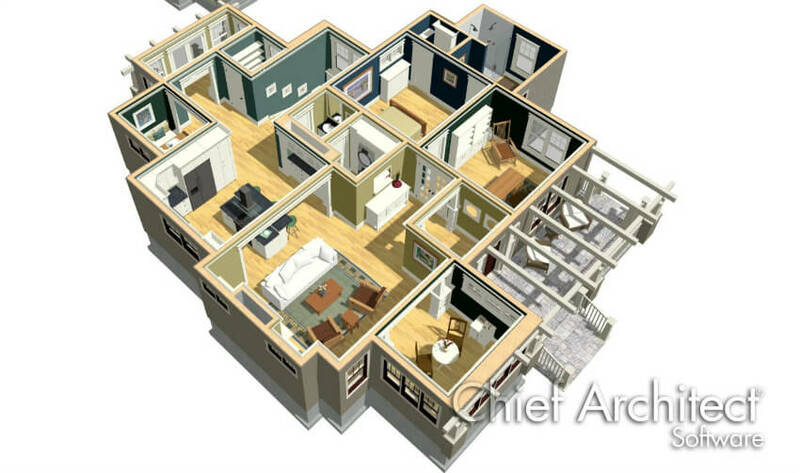 Here come the 3D floor plans, which provide enhanced visualization capabilities, offering an accurate view of the space. Although there are so many apps which allow you to do that and you probably don’t know which one to chose. We say to chose one which is user-friendly, which is not hard to use and you don’t have to have special skills in order to create online floor plans. We believe anybody can create online plans and visualize them in 3D without being a necessity to have technical skills. PlanningWiz has a special section of bathroom items which can be used to create interactive floor plans in order to get a better sense of how you would like your bathroom to look like. A floor plan is very important when you are home redecorating, a 3D rendering is the closest realistic view of the plan except for the construction itself, and in this way, you can share your ideas with your friends and family. 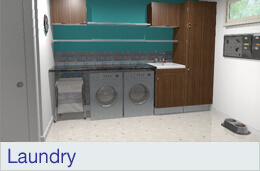 3D floor plans give you the facility to organize your bathroom and all the pieces around, before actually buying them. They help you see all details, the exact dimensions of each item if it fits a corner bathtub or a regular one, or just a shower cabin. You can decide how all these are placed along with which colors and textures you would choose for the walls and flooring. PlanningWiz’s catalogue for bathroom includes generic objects from which you can choose in order to create a complete bathroom that matches your ideas and style. And then you go shopping for the items having a solid plan. With PlanningWiz you can create up to 5 plans for free, you can work from your computer or tablet/ iPad and also you can visualize the plans from your mobile phone. All you need is an internet connection and to make an account. If it’s more bathroom design horsepower you want, it’s available, but for a price. Below are some paid bathroom design tools and software you can check out. I’m not a huge fan of SmartDraw, but include it because it’s hugely popular and they offer design software for pretty much everything under the sun including bathrooms. Here are a series of screenshots and examples. 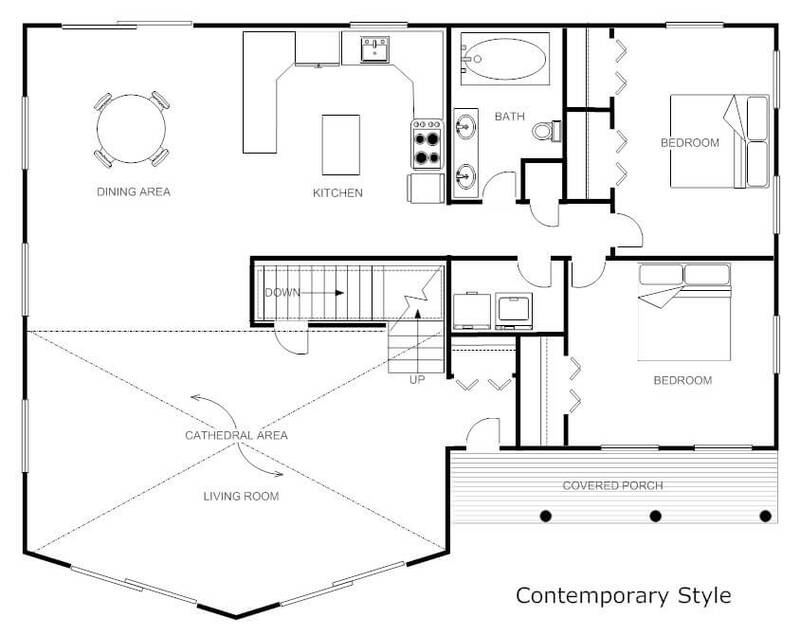 Create floor plans… plus cabinet designs, room layouts and more. I own a license to the Chief Architect software and it’s outstanding. The level of detail and the quality of bathroom graphics are second-to-none. It’s a very robust platform so it takes time to learn, but if you’re doing a serious reno or building a house, it’s totally worth learning this design tool. Even FloorPlanner is paid, the lowest priced option is very, very cheap. Frankly, I overall prefer paid software because the software that charges money is often better because there are funds to make it better. This can be used entirely online to design your bathroom. You can design for free, but pay if you want the design so there’s no risk. If you don’t like what you can do with it, there’s no cost to you. When it comes to design software, Space Designer 3D is one of the best. Pay for just one design (or several). This way you don’t have to pay way more than you’ll use it. A lot of design features for every room including bathrooms. Punch! design software is right up there with Chief Architect. I also own Punch! software (landscape and interior design versions). It does a spectacular job for every room including bathrooms (as well as outside the home). If you’re investing in design software, you can’t go wrong with Punch! However, keep in mind that this is a very robust platform so it takes time to learn (I enjoy using it and figuring it out… but I’ve put many hours into using this tool). Sketchup Pro is the big kahuna that many pros use (it’s expensive). It’s amazing but you need to spend a lot of time learning it. Also, in some instances, you may need additional software for various renderings or dynamic renderings. But you do get what you pay for. This software can design anything and the level of detail is amazing.